AnaDig option w/ multiple info fading screen center hotspot weather-current three day forecast, next two meetings, and battery data. Date/Agenda Sun/Weather hotspots. 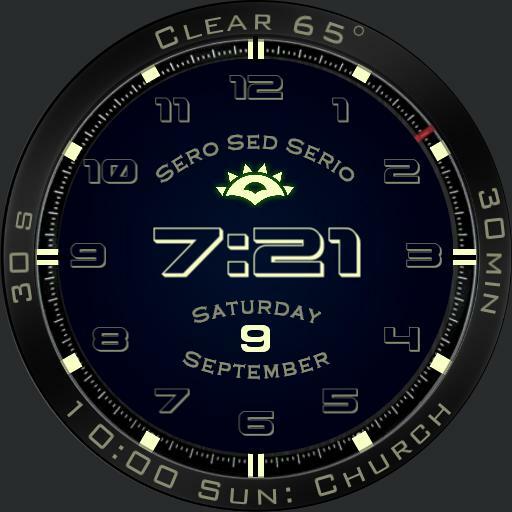 Bezel displays current condition temp, Google Fit steps active minutes, and next appointment.